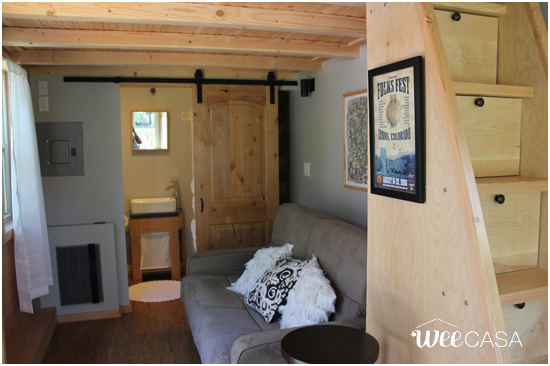 The Mountain Aspen: an intimate modern/rustic tiny house with just 170-sq-ft of space! 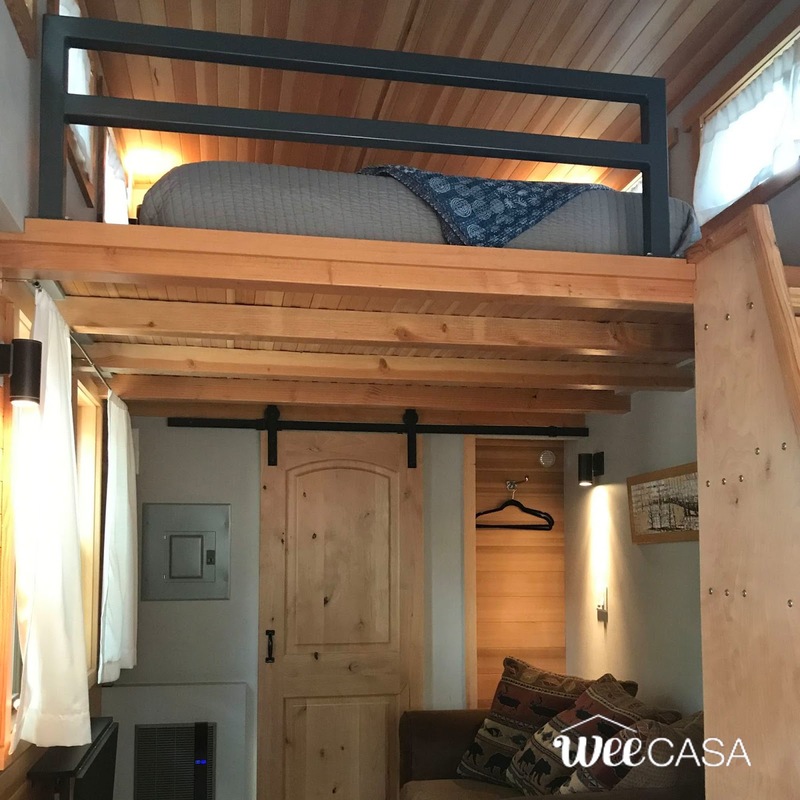 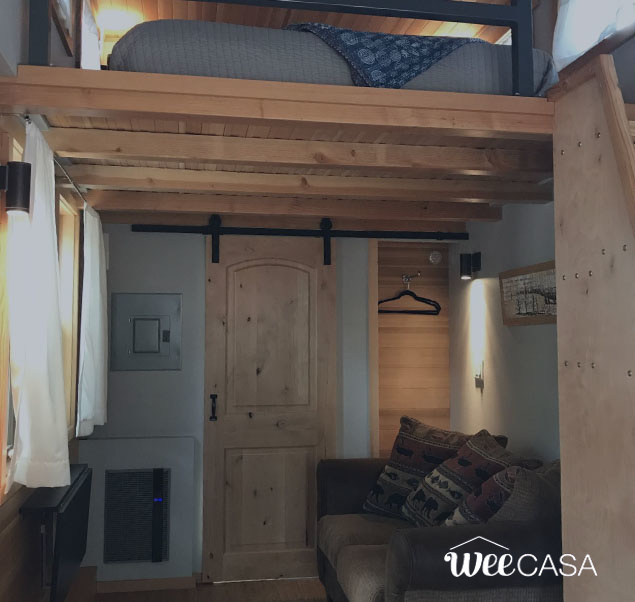 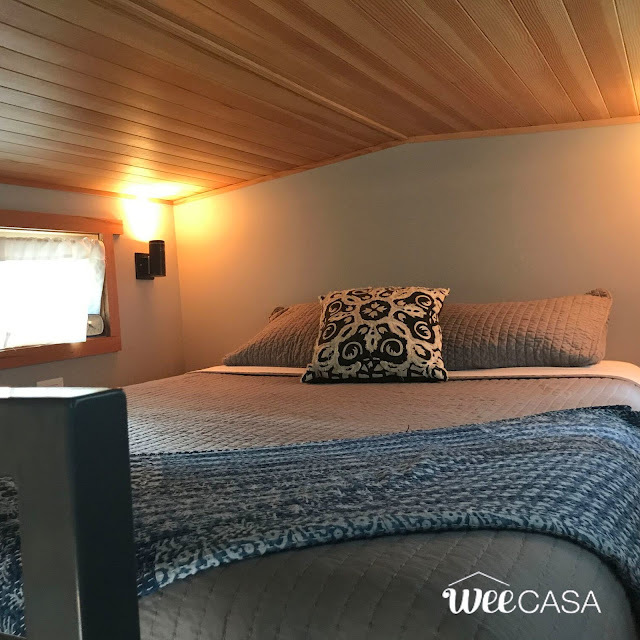 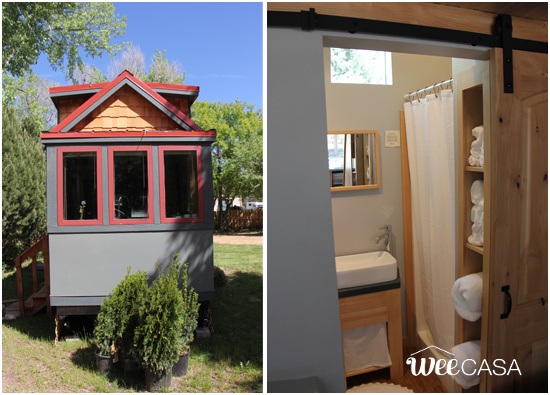 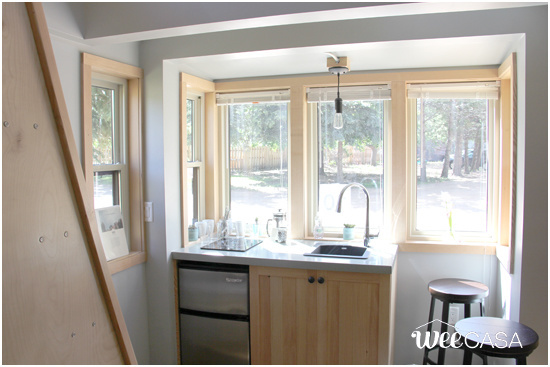 The home is available for rent at the WeeCasa Tiny House Resort in Lyons, Colorado. 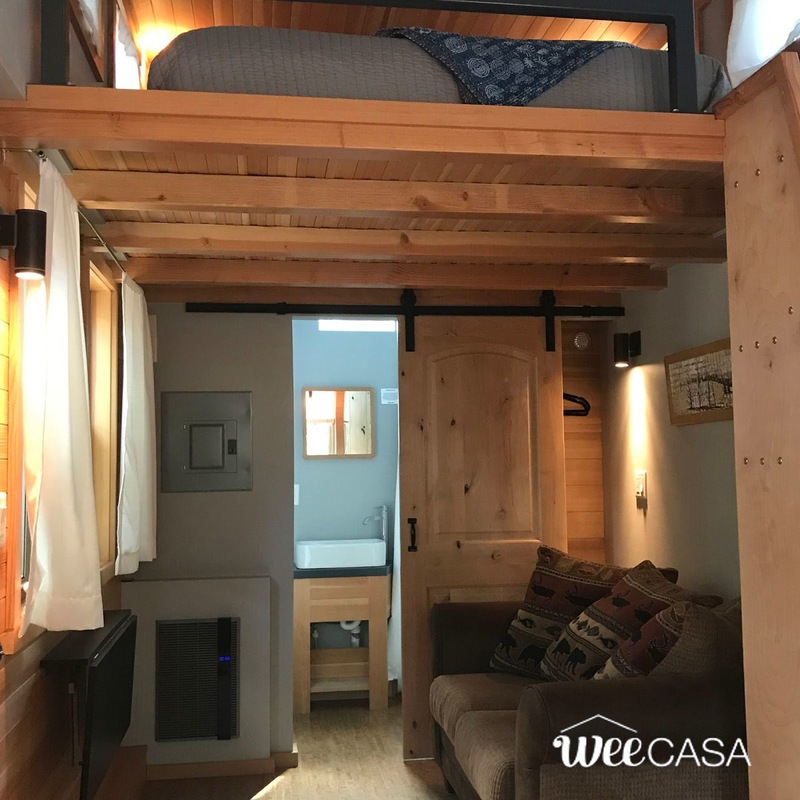 Its ground floor contains a living room with a love steampunk, a bathroom, and a small kitchen with a single-burner induction cooktop and mini-fridge. 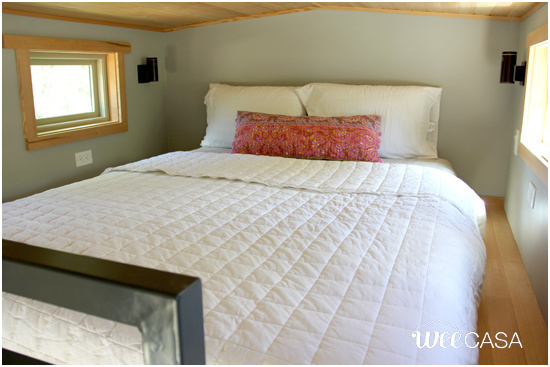 Upstairs, via storage stairs, is the home's bedroom which holds a queen-sized mattress. 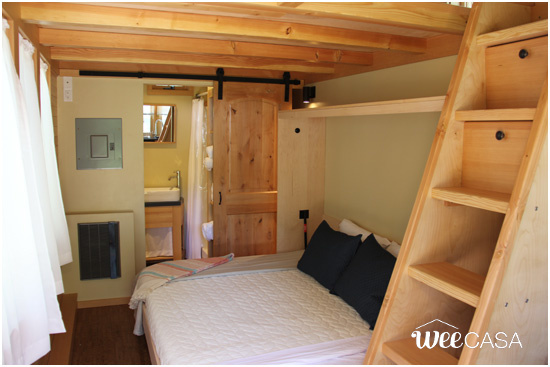 The Mountain Aspen is currently available for bookings here, for $109 a night! You can also see more tiny houses from WeeCasa here!